Kick off 2017 by celebrating with Angelo’s and Rocker Spirits at a specialty cocktail dinner! 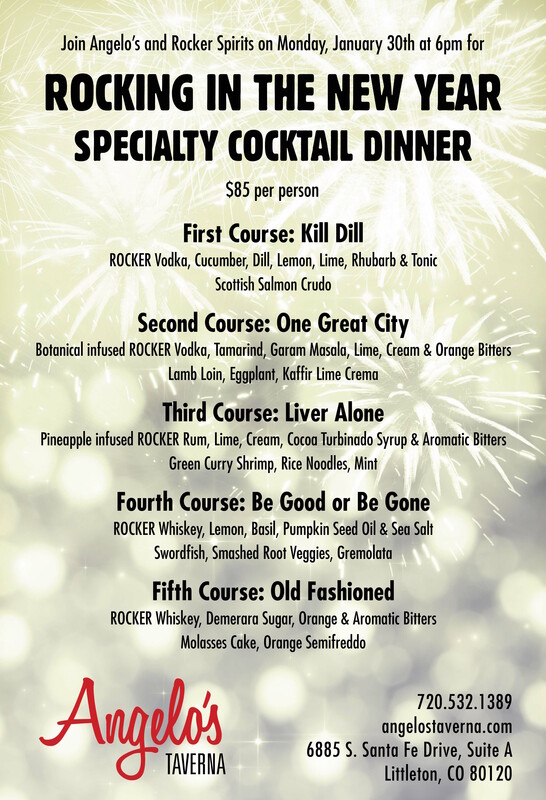 Each course will be paired with uniquely concocted drinks with all the finest ingredients and liquor from Rocker Spirits, a local microdistillery/whiskey bar from Littleton, Colorado. Tell your friends, come hungry and ROCK in the new year! Call to Reserve your Seat Today! Copyright Angelo’s Taverna Littleton. All rights reserved. Site designed by One Ton Creative.